It is doubtful to be able to think of another writer writing today who celebrates so wholly, the long traditions of story-telling, as Kevin Crossley-Holland. 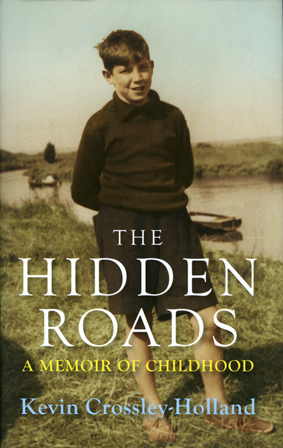 At an event hosted jointly by the Oxford Children’s Book Group and Oxford Brookes, Kevin Crossley-Holland, who has recently published an autobiography of his childhood, described his journey to becoming a writer. He places its origins not simply down to sharing stories of myths and folk tales with his father, but also to a love of history – which fired him up as a boy, to transform his garden shed into a museum. People brought him artefacts discovered locally or from home. And his grandfather had collected treasures that were so precious he had offers from the British Museum. It was an accident which closed the door to a possible sporting career, resulting in a lot of time recuperating, that than transformed his studies into a proper appreciation and a love of language – particularly Anglo-Saxon. One of his first works was a translation of Beowolf (he started writing poetry in his youth), which he started when at Oxford University. But a full-time writing career didn’t beckon until two mentors he had met in Oxford, encouraged his decision to give up his job in publishing to research and write a book of Norse myths. And those mentors were JRR Tolkien and WH Auden. 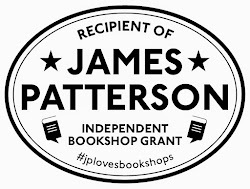 Of course he has gone on to not only be shortlisted for the Carnegie Medal, but to be the only writer ever to have won with a book for younger readers ‘Storm’. 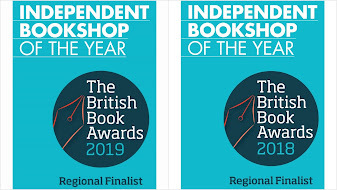 He called for the judging criteria to be split, as so many novels published are for older readers, meaning primary school teachers are left lamenting the fact that there is never room for the best writing for younger readers. But even all this did not make it easy for Kevin Crossley-Holland to write the book he is best known for his King Arthur trilogy, which starts with ‘The Seeing Stone’. This was a project he had thought about and planned for years but could not find a way to approach, until he was commissioned to write it and had already spent his advance before he started to do the actual writing. Here, he gave an insight into his writing life. Answers are under our own noses, he said and offered plenty of tips about how to approach work, how to get inspiration and ideas, and how to weave your own knowledge and research into a narrative world children can enter. Why should our first thoughts be the best, says the author, who spends about 40% of a book’s journey in the planning, thinking and getting to know a character, then about 20% of the time in rapid writing and about the last 40% in drafting and revising. In answer to a question about whether he could put his finger on why stories were so important, the author was in no doubt. He believes it is important for children to know stories because is that it is part of a genetic heritage. This is why we are so able to suspend our disbelief, because it is through stories that we learn to be human, to feel sympathy, joy, or excitement for another person – through reading about what happens to a character we learn empathy. I am completing the second in the Viking trilogy ‘Scramasax’. I always write poetry. And I am going to do a picture book with Jane Ray about Vivaldi. It is a job of work and a matter of getting down to it and not waiting for inspiration. It’s all about thinking of writing as a discipline. It’s also about going that extra mile – writing something and thinking even as you write it that it won’t wash – you have to take risks and go for it. Actually, I am better at doling out tips than receiving them. It is probably having children writing to you, sometimes even long after they read something, and tell you that something you’ve written really counted. That and the smiling faces of children when you meet them. There really isn’t a worst. It is a gloriously rewarding job. Well I am extremely pernickety and I go around my study tidying imaginary things away and checking that my pens have got a refill and just about anything to defer starting work. In terms of critical esteem is was ‘Storm’ (which won the Carnegie Medal) and in terms of sales it is the Arthur trilogy, which has been translated into 25 languages. Wow - not a bad start to a writing career! Sounds like an amazing evening.